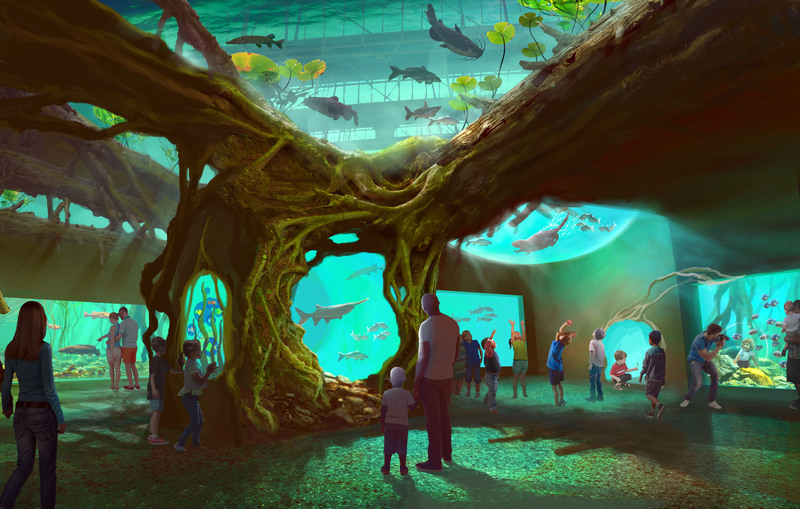 The St. Louis Aquarium at Union Station will be an immersive and engaging experience offering unique perspectives of our underwater world. From the local streams and rivers to the depths of the oceans, take a journey with us and explore the hidden treasures of the Missouri and Mississippi waterways, appreciate the “monsters” of our global rivers and delight in the stealth and grace of our oceans’ greatest predators. Passport not required. Immerse yourself into the natural beauty and rich history of the city’s two most prominent rivers, the Mississippi and Missouri Rivers. Here you will explore some of nature’s hidden treasures as they swim beside and above you. 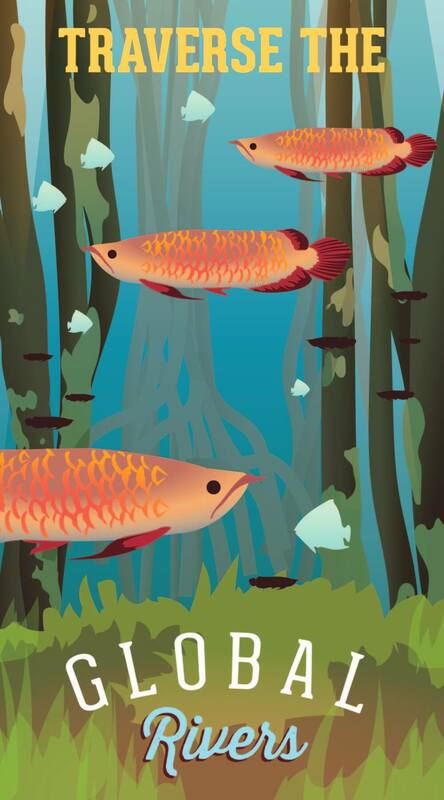 In the Confluence Gallery, you’ll have a window into these unique rivers and experience the lives of some of the region’s most important fish; from largemouth bass and crappie to two of the region’s most unique “living fossils”, paddlefish and longnose gar. Travel the riverways of South America, Africa and Southeast Asia and come face-to-face with river “monsters” and other fish that are the focus of legends, as respected as they are feared. Whether you’re getting your hands tickled by doctor fish, being stared at by a giant arowana, meeting a magnificent redtail catfish, popping into the world of piranhas, or exploring the unique geography on the interactive globe, you’ll be introduced to some of world’s most unique animals and the important rivers in which they live. 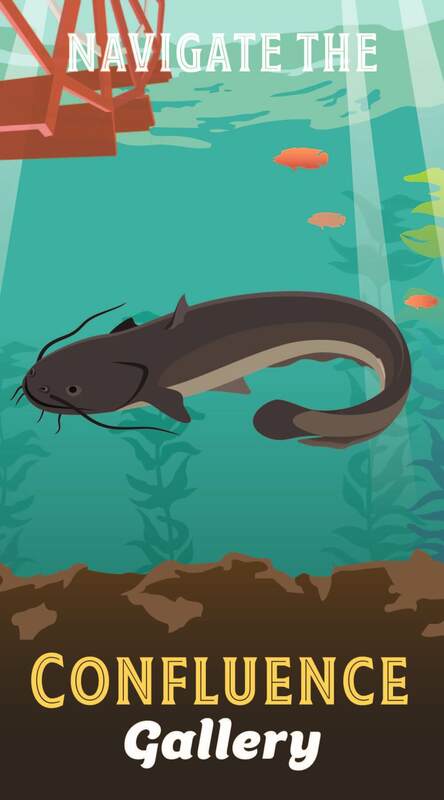 Fish aren’t the only animals that live in and around freshwater rivers. This dynamic, interactive exhibit space showcases some of the ways the world’s rivers are impacted and changed. 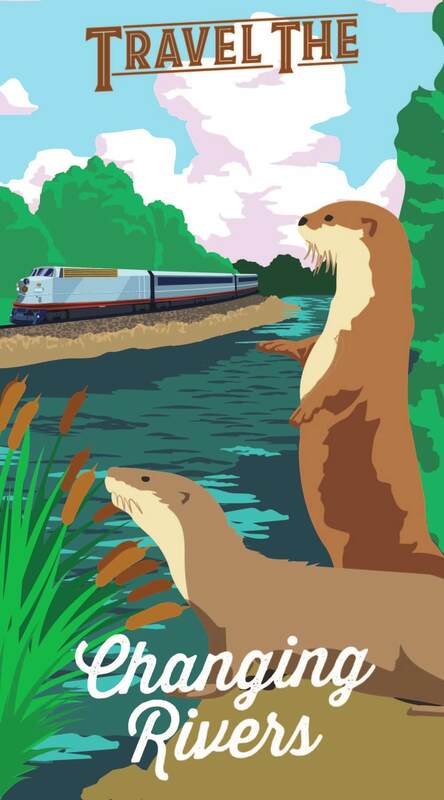 Watch our river otters frolic in the water or join them in the burrow. Meet a sleepy sloth or a curious owl. Get your hands wet in our interactive water table as you experience first-hand the effects on rivers of human water use, dams, erosion and floods. Your interactive journey is about to get even more immersive as you approach where the world’s rivers meet the oceans. 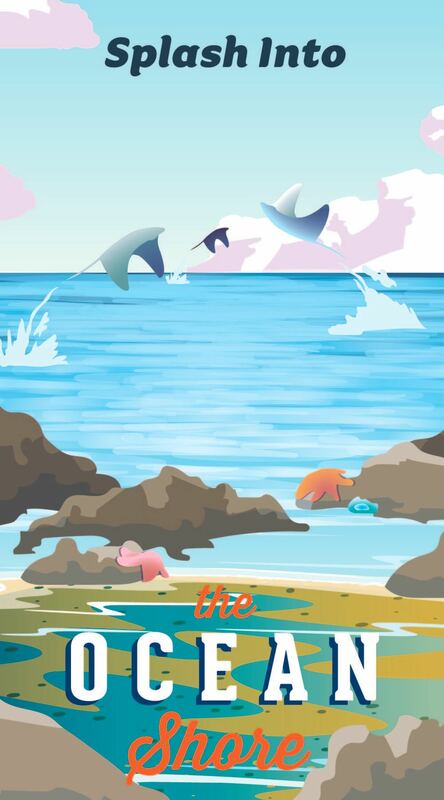 You’ll be able to splash in the tidal pools of Ocean Shore while meeting some interesting and often misunderstood animals that live within the shallows. Feel the hard, protective shell of the horseshoe crab, the soft skin of a sea cucumber and the protective spines of a pencil urchin. Then overcome your fears while you touch and feed sharks and stingrays. As we begin our descent to the ocean’s depths, we see an underwater landscape that has been shaped over thousands of years. 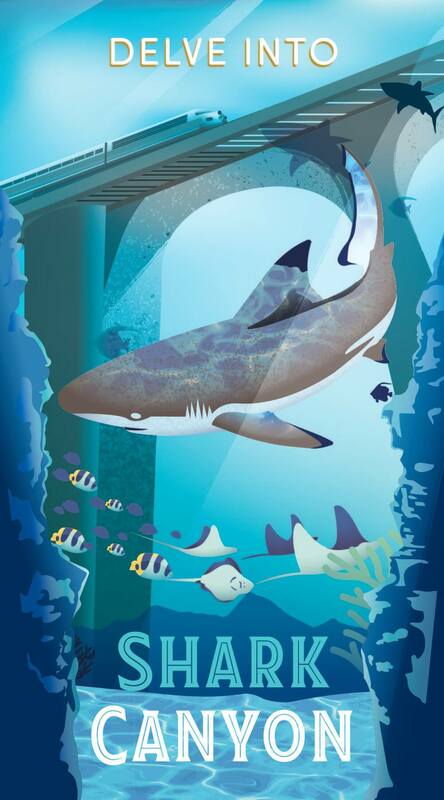 This 250,000 gallon exhibit, the largest in the Aquarium, provides multiple, awe-inspiring opportunities to view the incredible marine life that reside here. Watch gray reef sharks and devil rays gracefully swim. Enjoy a school of brightly colored surgeonfish, and maybe even catch a cleaner wrasse carefully grooming a giant grouper during this part of your underwater exploration. Soak up the breathtaking experience of over 80 sharks and rays gliding among the thousands of schooling sardines that inhabit this underwater paradise. Make your way to the depths of the ocean in The Deep. 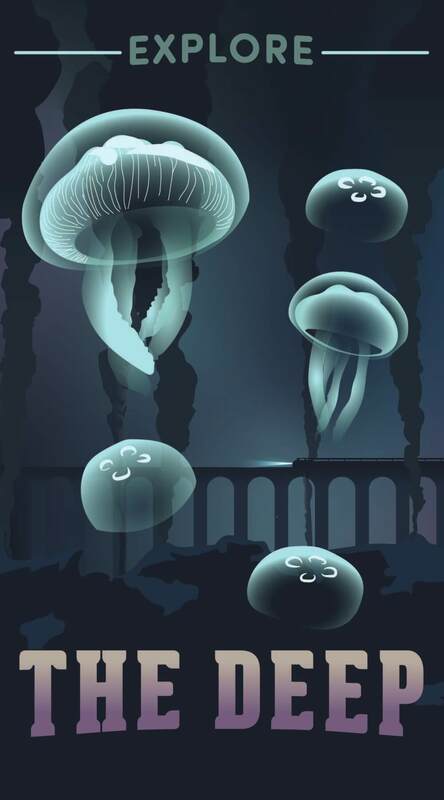 As mysterious as they are mystical, the creatures of The Deep are sure to enchant. Animals that produce light, one of the ocean’s smartest animals and even animals involved in a silent turf war are just a part of what you will encounter. From coral and jellyfish, to an octopus and sea dragons, discover what these fascinating animals have in common. Experience The Deep in ways never seen before as technology introduces you to other unique deep sea animals few have had the opportunity to see such as the prehistoric looking fangtooth and the majestic dancing gulper eel.